He may not be the Flash, but Batman Beyond is nonetheless among DC Comics' fastest heroes via "digital-first" publishing. Batman Beyond Unlimited #1 will collect previously digitally published chapters from the digital-first titles Justice League Beyond and Batman Beyond from the DC app and comiXology in 48 printed pages this February. The new release strategy echoes aspects of DC's current Beyond the Fringe series and DC's two Batman: Arkham City videogame tie-in comics, which both have seen periodical publication in shorter digital formats before heading to print. 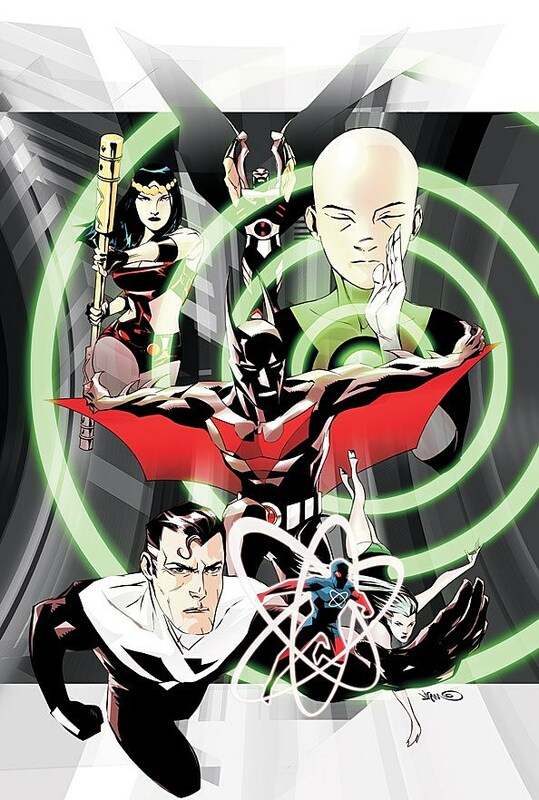 Helming Justice League Beyond are Dustin Nguyen and Derek Fridolfs, with Adam Beecham and Norm Breyfogle on Batman Beyond. The titles both expand on Batman Beyond's animated series continuity, which ran for 52 episodes between 1999 and 2001 and included the animated feature Batman Beyond: Return of the Joker, plus the "Epilogue" episode of Justice League Unlimited. As pointed out by Robot 6, DC's initial Batman Beyond series was among the first of the publisher's title to be taken to a same-day print/digital release schedule prior to the "New 52" relaunch that brought the rest of the line up to speed. As an all-ages title based on a popular and established multimedia franchise, the Batman Beyond Unlimited title might continue to function as something of a pilot title for other DC publishing strategies.